Here for sale at Leigh Cars Ltd we have a SUPER RARE 2 owner example of the sporty looking Peugeot 208 1.4 E-hdi Allure 5dr AUTOMATIC finished in popular metallic grey. 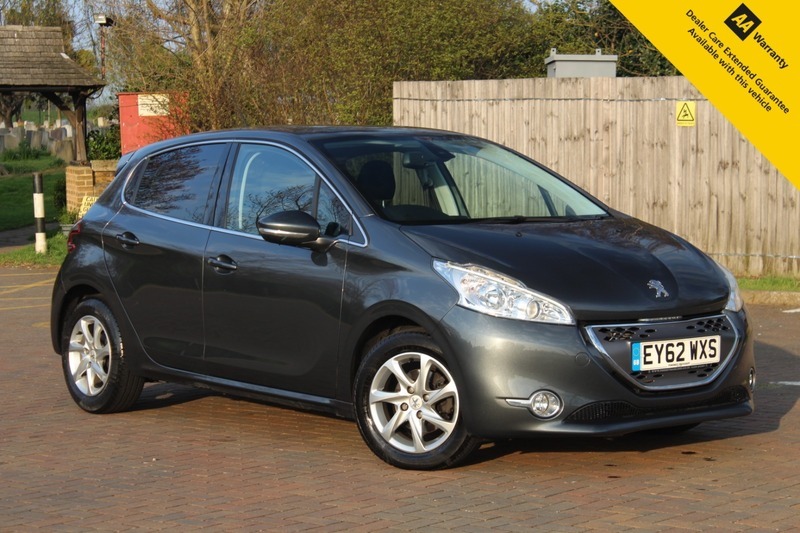 This particular example comes with a SUPERB FULL PEUGEOT SERVICE HISTORY. The vehicle comes with a brand new service and 2 new front tyres as part of our thorough preparations giving it the 5 stamps in the service book as well as a BRAND NEW ADVISORY FREE MOT - EXPIRY APRIL 2020. The Active specification level comes with some great specification including bluetooth handsfree, mp3 + USB connection, climate control, cruise control, auto lights + wipers, alloy wheels, + much much more. If you are looking for a stylish automatic hatchback, with lots of space and incredibly cheap running costs, then this is definitely the car for you. This particular car is ZERO TO TAX and will return you an AVERAGE OF 83.1MPG!!! STYLE, ECONOMY, PRACTICALITY. This one will not be with us long so hurry and book in your test drive today. As we are an AA ACCREDITED DEALER, with any purchase through Leigh Cars Ltd, you will also receive 12 MONTHS FREE AA BREAKDOWN ASSISTANCE. We also offer AA warranty packages for up to 3 years subject to terms and conditions. We offer very competitive LOW RATE ZERO DEPOSIT FINANCE PACKAGES - Why not check out our finance calculator on our website where you can tailor a personal quote to yourself and INSTANTLY APPLY FOR FINANCE ONLINE! We offer PART EXCHANGE and NATIONWIDE DELIVERY and we also offer HOME APPOINTMENT SERVICE subject to conditions. We are RATED 5 STARS BY OUR CUSTOMER REVIEWS so you can be assured you are dealing with a company you can trust.